What’s your favorite thing to put in favor bags? We love filling ours up with bright treats and unexpected surprises. 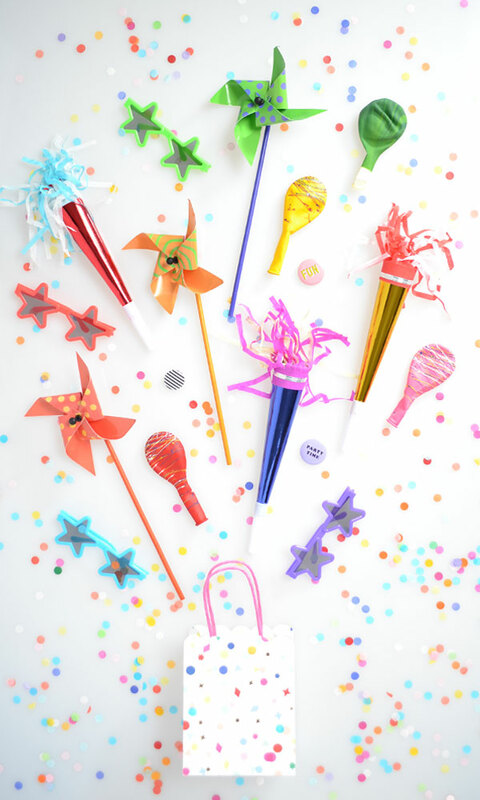 If you’re looking for some favor inspiration, we’ve handpicked a bunch of special items in our party shop. See them all here! I love the bright colors of this favor bag! So fun! I get a 404 error when opening the shop link (in all of your posts about the shop), and when I click the party shop link at the top of the page. I get this 404 error in Firefox, Google Chrome and Internet Explorer.